WEISSACH, Germany -- Porsche could be worth a fortune if listed with Volkswagen Group's ultraluxury brands, finance chief Lutz Meschke said. By applying same stock market metrics as Ferrari, Meschke said that shares in a car company led by Porsche and including Bentley, Bugatti and Lamborghini could easily attain a market capitalization more than three times that of the Italian supercar maker, which is worth roughly 19 billion euros. If floated, VW's so-called “Super Premium Brand Group” would be the third automobile manufacturer to recently list following Chinese premium electric car maker Nio and British luxury automaker Aston Martin in September and October, respectively. When asked about analyst estimates that such a super premium group could be worth as much as 100 billion euros, Meschke said that number was also conceivable. In a statement from Porsche on Monday, the company clarified that Meschke was explaining the positive effects that such a market float might have during the current transformation of the industry. The company said it was “not currently pursuing” any full or partial listing and that any decision in favor of an initial public offering of shares would be taken by VW Group. Last month VW Group Chief Financial Officer Frank Witter was asked whether the automaker would be open to selling shares in the super premium group. He didn't say no to the option. Meschke said that equity investors in global car companies such as VW Group or Daimler may benefit the most from a partial listing of their subsidiaries as evidenced by Fiat Chrysler Automobiles' spinoff of Ferrari in January 2016. VW Group as a whole is valued at about 69 billion euros, meaning that investors pay primarily to own shares in the company’s premium brands. “When Ferrari went public, it was Fiat Chrysler itself that saw a sudden surge in value,” Meschke said. Investors would welcome a public offering, he believes, since it would signal a company as diversified as VW Group is prepared to purge unneeded weight to tackle its unwieldy structure. Analyst firm Evercore ISI on Monday welcomed Meschke’s comments, calling Porsche “a gem which deserves its own stage.” The investment bank estimated the sum of all VW Group parts had a combined worth of more than 150 billion euros, which is more than twice its current market capitalization. 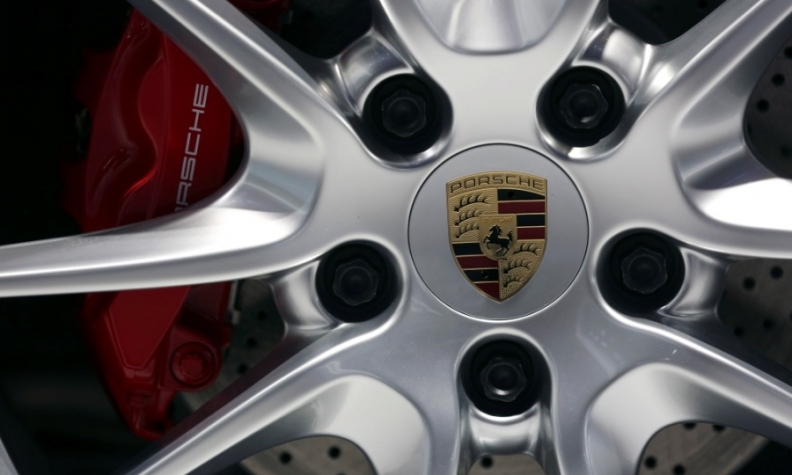 Evercore ISI estimated Porsche alone could be valued at 45 billion euros to 81 billion euros. "Any management team with a basic grasp of economics and capital would be exploring the opportunity to re-list Porsche AG,” Evercore ISI said in a research note. "From a governance, growth and profitability perspective, more autonomy and accountability would make the VW Group a better business. Separately listed legal entities would also provide VW with more flexibility." This would accomplish several things. For one, the underlying weaknesses at the core VW brand that were somewhat concealed by the profits of a premium brands such as Porsche and Audi would be more noticeable. The result would be a constant-yet-healthy pressure on the organization to continually lower costs throughout the rest of the business. By concentrating on its volume brands, VW Group's shares could also be re-rated higher. Investors typically attach a premium to a company with a clear operational focus. These companies can more easily be benchmarked to other “pure play” rivals than a conglomerate such as VW Group, which sells everything from motorcycles to heavy trucks to marine engines. Lastly, it would make the VW Group more attractive for potential partners, both from within the automotive industry as well as from without, such as tech companies. Meschke indicated that he had addressed the issue of the stock listing with company executives at VW Group headquarters in Wolfsburg as well as with the Porsche and Piech families that own a majority of the voting shares in the automaker. “You can assume that I am also explaining the advantages within the group,” he said. Prior to the global financial crisis, Porsche was an independent, listed company owned by the Porsche and Piech clans. It was sold to VW Group in a two-stage process beginning in 2009 in what was initially viewed as a full capitulation after Porsche nearly went bankrupt trying to buy its larger German peer.